Our range of integrated pump and tank systems save installation time and save plant room space. 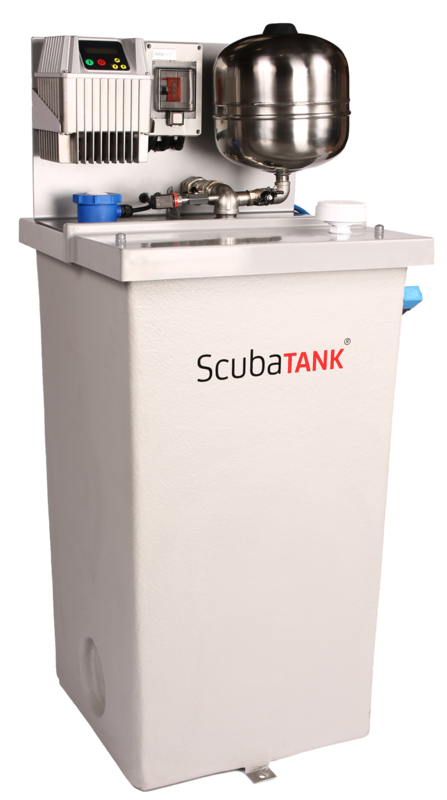 Designed to maximise water storage with minimum footprint, the GRP insulated ScubaTANK® features integral WRAS approved submersible pumps, mounted inside the tank, resulting in extremely quiet operation. 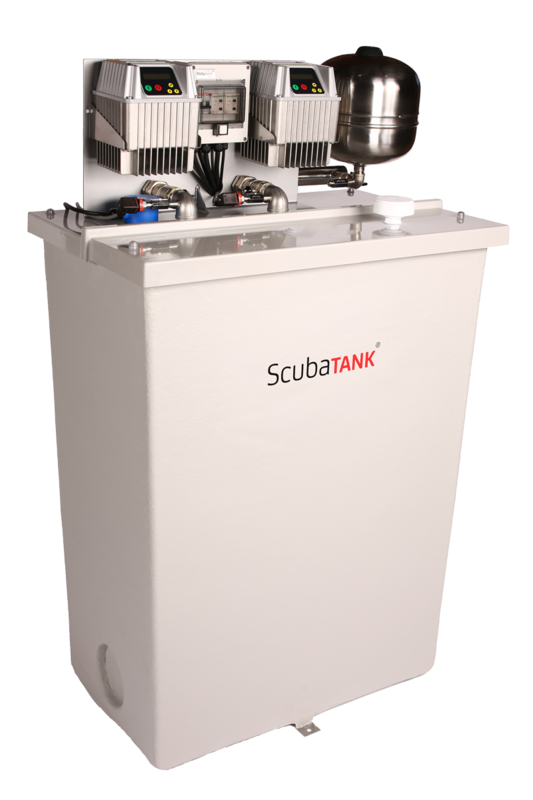 Smaller models are designed to fit through a standard door, making ScubaTANK® ideal for retrofit applications. The range comprises the single pump WX1 and twin pump WX2 models, available in duty/assist and duty/standby configurations, with a variety of pumps to select. Capacities range from 175 to 2,250 litres. Dutypoint provided our ScubaTANK all in one tank and pump solution to provide consistent and reliable boosted water for the entire property over 3 floors, including 5 bathrooms. Prestigious new build project in Surrey spread over 3 floors with 6 bathrooms and swimming pool. 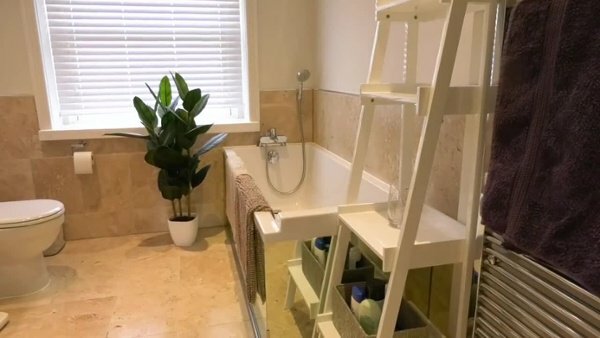 As part of an extensive refurbishment of a large town-house in Kensington, high pressure water was required over 7 floors with 7 bathrooms, a swimming pool, multiple showers and a 12m deep basement development. Formally known as the Old Fish Processing Factory at London Fields, the scheme consists of a newly refurbished six storey building including 31 residential apartments and 25,000 sq. ft of commercial space. Dutypoint were engaged on this project to design and supply the rain water harvesting system to collect rainwater from the roof and pump grey water to the toilets in the building. Consultant specification template for ScubaTANK combined tank and booster set. WRAS approval certificate for the ScubaTANK WX range. Certificate number 1502323. Installation, operation and maintenance manual for the ScubaTANK WX range of combined tank and booster sets. If you would like to request further information, a quotation or you would like to arrange a no-obligation discussion with a member of our team, please fill in this form and we will contact you shortly. There are lots of things we all take for granted. Having running, clean water is one; having running, clean water that flows effortlessly is another. Use this helpful calculator to quickly convert any flow rate or pressure units. Use this helpful calculator to quickly calculate the friction loss in pipework of various materials - all your need is your flow, pipe diameter and material. Before specifying a pump system, it is important to calculate the peak flow rate design duty of the system in question. This will ensure that the pumps you specify will be capable of satisfying peak demand. This article provides a useful method for calculating the likely peak flow rate of a system. This guide explains the factors to consider when correctly sizing a cold water storage tank including the building use, occupancy and booster set flow rate. WRAS Approval is a vital issue to understand for all those in fluid technology, but it is widely misunderstood. This helpful guide will help you understand this important certification and the process behind this.